Yes, if January is giving you the blues The Canvas Café and Museum of Happiness are here to rid you of any sad feelings with a massive ball pit. The venue is launching a room full of 24,000 glossy white balls for a limited time. What a way to relax and unwind. 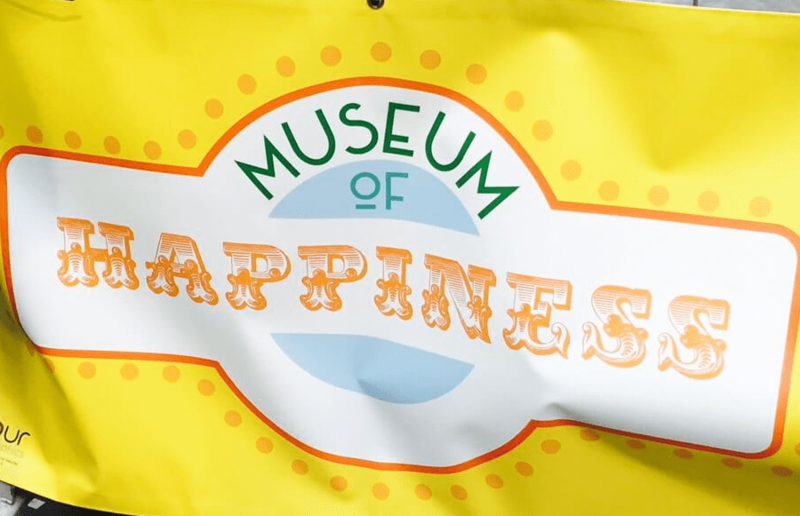 Last year The Museum of Happiness saw more than 7000 people visited their 3-day Pop Up which included a silent disco, dance classes, mindfulness sessions and a massive Ball Pit.The giant Ball Pit, named JumpIn! by strategic brand strategy agency Pearl Fisher, proved such a success that the Happiness Team has reprised it for 2017. From 21st January to 19th February 2017, The Ball Pit will be available to jump into for during the festival. Visitors can book a 15-minute slot with the option of booking the entire pit for their group of friends, plus there’s even the option for businesses to book the pit for a team happiness meeting. Tickets for the festival launch on Blue Monday, 16th January, at 6.00am so get ready to book, with a session £6 (open 12noon to 7pm), talks on donation basis every Sat afternoon. The pit is located at Canvas Cafe, 42 Hanbury St, Shoreditch, London.